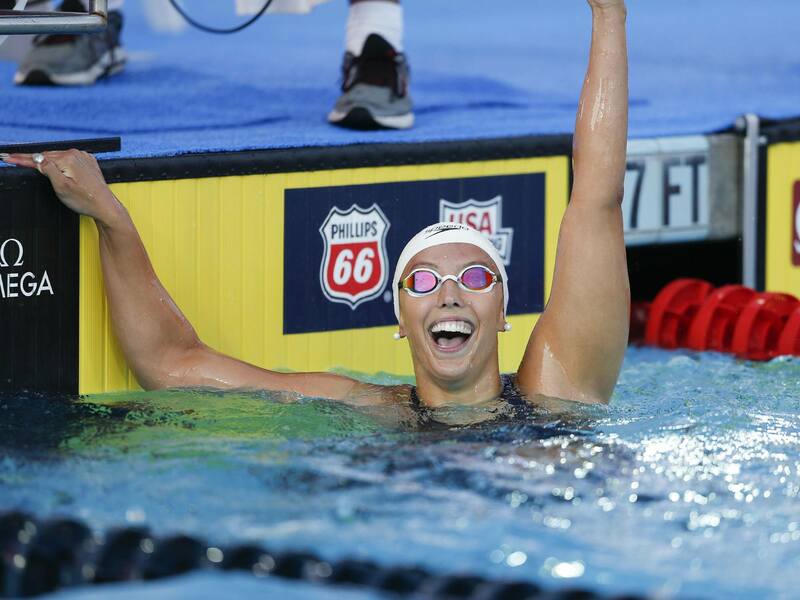 With Kathleen Baker‘s new world record in the 100 meter backstroke Saturday night at the 2018 U.S. National Championships in Irvine, CA, American men and women now own the world records in all four Olympic backstroke events. 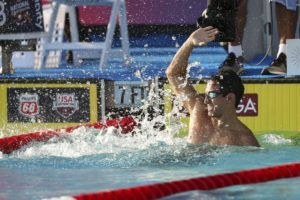 Though the 50s of stroke are contested at U.S. Nationals and the FINA World Championships, they are not recognized events at the Olympics or the Pan Pacific Championships. It is also important to remember that Olympic swimming takes place in a 50-meter pool, and so for the sake of this analysis we will not consider short course meters times. With her 58.00 Saturday evening, Kathleen Baker snipped precisely 0.10 off Canadian Kylie Masse‘s 2017 world record. Though Baker and Masse will have the chance to go at it again at Pan Pacs in Tokyo in about two weeks’ time, for now, Baker reigns as queen of the 100 backstroke. As regards the Olympic Record, Aussie Emily Seebohm still owns that title with her 58.23 from the 2012 Olympics Games in London, which also currently stands as the 8th-fastest performance of all time. Seebohm’s incredible performance came during the prelims, though in the finals she was ultimately beaten by American Missy Franklin who swam a time of 58.33 to win gold over Seebohm’s 58.68, which amounted to silver. 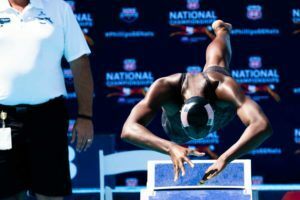 Prior to this competition Baker had looked dangerous, posting a 58.77 in the 100 backstroke at the Mare Nostrum competition in Barcelona in June. Baker scratched the 50 backstroke on Friday, likely to save up for the 100 Saturday. The 50 backstroke was won by Olivia Smoliga, the American Record holder in that event and the runner-up in the 100 Saturday (58.75). At only 17-years-old, Missy Franklin shocked the world with her performance at the London 2012 Olympic Games. Not only did she win the race and establish both the current world and Olympic Records in the women’s 200m backstroke, she did so with incredible prowess. Though she scared Kirsty Coventry‘s 2008 world record (2:04.81) at the 2011 FINA World Championships in Shanghai with a 2:05.10, it was not until the final in London when she obliterated it, knocking 0.75 from the three-year-old mark set in Rome. Franklin is the only woman to ever go sub-2:05 since full-body polyurethane suits were banned from competition in 2010, with only Coventry and Russia’s Anastasia Fesikova having also just slipped under the 2:05-barrier with times of 2:08.81 and 2:08.94, respectively, turned in at the 2009 FINA World Championships. 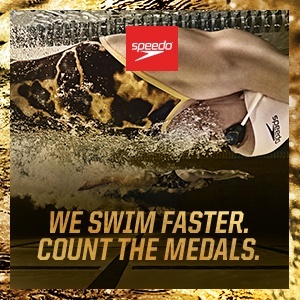 The next fastest performers in history and the only other swimmers to even break 2:06 are Australia’s Seebohm at 2:05.68, Hungary’s Katinka Hosszu at 2:05.85, Canada’s Masse at 2:05.97, and American Maya DiRado at 2:05.99. 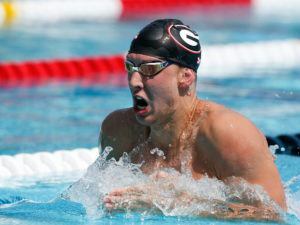 Ryan Murphy established himself as the NCAA king of the backstroke long before he ever got to race in the Olympics. In the finals of the 100 meter backstroke in Rio, Murphy just missed Aaron Peirsol‘s 2009 suited (leg skins) world record of 51.94, finishing in 51.97 for a new Olympic Record and establishing himself as only the second man in history to break the 52-second barrier. Murphy went on to win the 200 backstroke as well, though he just missed eclipsing Tyler Clary‘s 2012 Olympic Record of 1:53.41. As the lead-off swimmer in the 4 x 100 medley relay, Murphy finally broke Peirsol’s world record, posting a time of 51.85 to put the American men well ahead of everyone else in the field. Though Murphy still holds the world record in the 100 backstroke, Xu Jiayu of China, Olympic silver medalist to Murphy in Rio, swam to a 51.86 at the 2017 Chinese National Championships, and toppled Murphy for gold at the 2017 World Championships in Budapest last summer. Between these two men and American Matt Grevers, who also out-touched Murphy in 2017 for both the U.S. National Championship and the silver medal in Budapest (Murphy finished third), the men’s 100 backstroke at the Pan Pacific Championships next month is, as the kids say, gonna be lit. Aaron Peirsol‘s 200 meter backstroke world record is the only remaining backstroke record for either men or women from the suited era. After falling to Ryan Lochte in Beijing 2008 and settling for the Olympic silver, Peirsol surged in 2009 to lower both backstroke records. Peirsol, who officially broke Lochte’s world record in Rome, also had to overcome Japan’s Ryosuke Irie who had already downed Lochte’s world record in Australia in May, making Irie the first man to ever break 1:53 with his 1:52.86 (though it was never ratified by FINA). Irie later placed 2nd in Rome between Peirsol and Lochte with a 1:52.51. 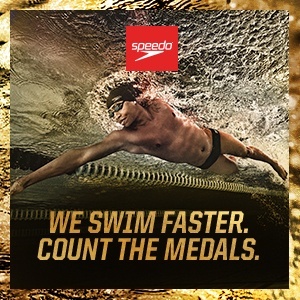 Lochte went into the 2012 Olympic Games as the defending Olympic gold medalist and 2011 world champion, but only came away with the bronze, finishing behind Irie (silver) and fellow American Tyler Clary who won gold in what is the current Olympic Record time of 1:53.41. Concerning World Junior Records, the Olympic events are split between the United States and Russia. While American Regan Smith owns both the 100 (58.83) and 200 (2:06.43) meter backstroke World Junior Records on the women’s side, Russian Kliment Kolesnikov owns the World Junior Records in the same events (52.97 and 1:55.14, respectively) on the men’s side. 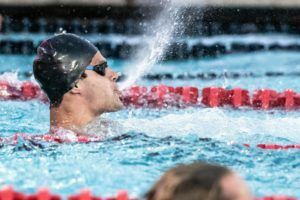 Both swimmers have proven themselves extremely capable on their respective national stages and internationally as well, but the Olympics are a different beast, and each faces steep competition in both events within their own countries. Nonetheless, keep an eye on these two. Unrelated question: Can we get a pick’ems or predictions article for Pan Pacs themselves? It was so fun with Nationals. Yep – we’re doing pick ’ems for both Euros and Pan Pacs. Oooh, Euros will be fun. Texas has the 200 freestylers, and Cal has the backstrokers – nuts to see 75% of these recordholders having Cal connections. Texas holds none of the all time top-8 swimmers for 200 free men or women but is indeed a great place for the distance. Walters, Berens and Haas is number 9,10 and 11. Jack Levant around number 55-60. A couple of guys, yes, but you need four. NC State has beat them soundly for the past two years. 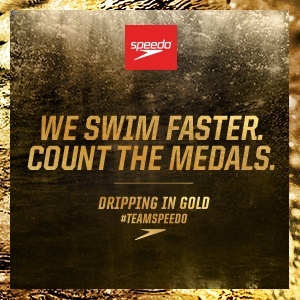 Maybe because the US have by far the most swimmers of any country. On raw numbers? Or on ‘percentage of a country’s pools that are LCM’? Because, the US has a TON of LCM pools. They just also have a TON of SCY pools as well.